The approach of Give and Surf has always been to have a deep, long-lasting, sustainable impact within the small communities they work with. In 2011 Neil Christiansen, together with Margaret Ann & Henry Escudero started educational projects in the community which have been growing since then. Today the nonprofit organization is an essential provider for education and community development, teaching over 250 students per week and creating necessary facilities – e.g. a community center, a playground, a library, a septic tank and other useful infrastructure. 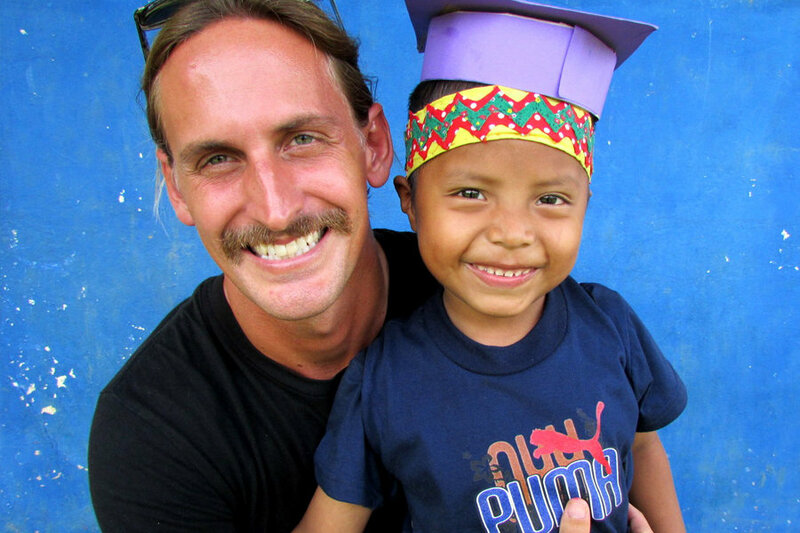 Give and Surf stands for the empowerment of indigenous people (e.g. the Ngobe-Bugle tribe), transformative personal experiences for volunteers as well as cultural exchange. The range of educational programs where you can participate is broad: For example you can get involved in the preschool and kindergarten implementing a Montessori Curricula, or you can plan activities for the summer school, combining environment, experimental learning and self-expression. There is also the option to help out in the summer camp and roll-out creative projects involving sports, arts, science, etc. If you prefer working in a different setting you can also teach English to adults or teens and thus help to increase their employment opportunities. And there are more programs: You can get wet and coordinate the children in the surf-outreach mentorship program, or if at the time of your visit Give and Surf is realizing a construction project, you can help to improve the infrastructural context for the community (Give and Surf has already built a playground, a library, a septic tank, a community center and many other facilities). For volunteering with Give and Surf you have to fill in the online form (followed by a skype/phone conversation) and pay for the package, which includes ocean-front accommodation, breakfast & lunch (lunch not on weekends), rental gear (surfboards, snorkel equipment etc. ), transportations to beaches/town, surf trips, one surf lesson and the volunteer coordination (orientation program etc.). The volunteer fees are necessary, because they provide the majority of funds for the organization, they depend on the length of your stay (the longer you stay, the cheaper it gets) – from 1000$ a week, to 2000$ a month. 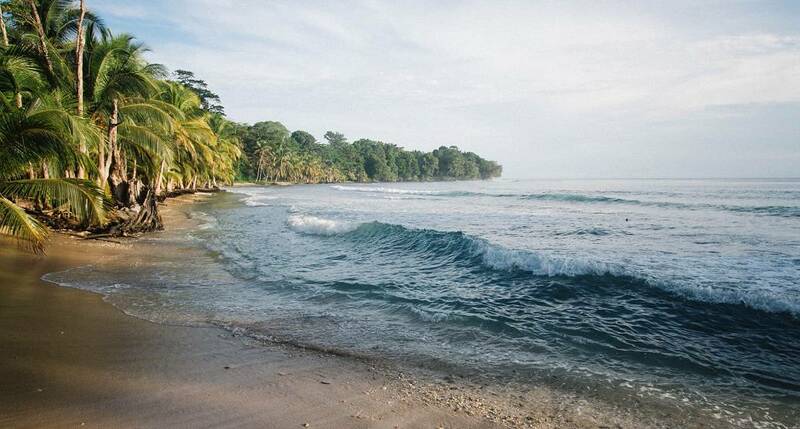 No matter whether you want to learn surfing, improve your surfing skills or look for beach break barrels to ride, you will definitely feel at home in Bocas del Toro and get all you need from the Give and Surf Crew. Rental surfboards, surf trips and one surf lesson are included in the package. Usually surf sessions are in the afternoons, right after school. The archipelago of Bocas del Toro is located in the North East of Panama. Besides surfing you can enjoy the rich (indigenous) culture, hike through the beautiful jungle and farmlands, do yoga, join tours to visit the islands, or go sailing, diving or fishing. You can either fly into Panama City, San José (Costa Rica) and then directly into Bocas del Toro or you can take an overnight-bus from Panama City to Almirante and then a short watertaxi-ride to Bocas Town. The tropical climate can be hot and rainy all year round, with some decrease from December to April. During these months, there are usually better surf conditions, than in the rest of the year. However between June and August there can also come in some good swell. For more details, please visit the website of Give and Surf. Do you already have experience with this organisation? If yes, feel free to share your experience in the comments below.